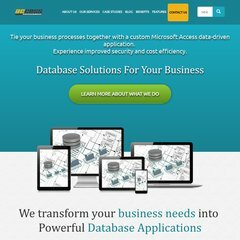 Topics: Sql Server Programmers, Services, Benefits, Development Benefits, Management Benefits, and Cost Benefits. ASP.NET is its coding language environment. ns2.alligatorcs.com, default, and ns1.maximumasp.com are some of its 5 Nameservers. It is hosted by Maximumasp Llc (Kentucky, Louisville,) using Microsoft-IIS/6 web server. PING www. (74.81.197.213) 56(84) bytes of data.